You will need your spice collection for this! 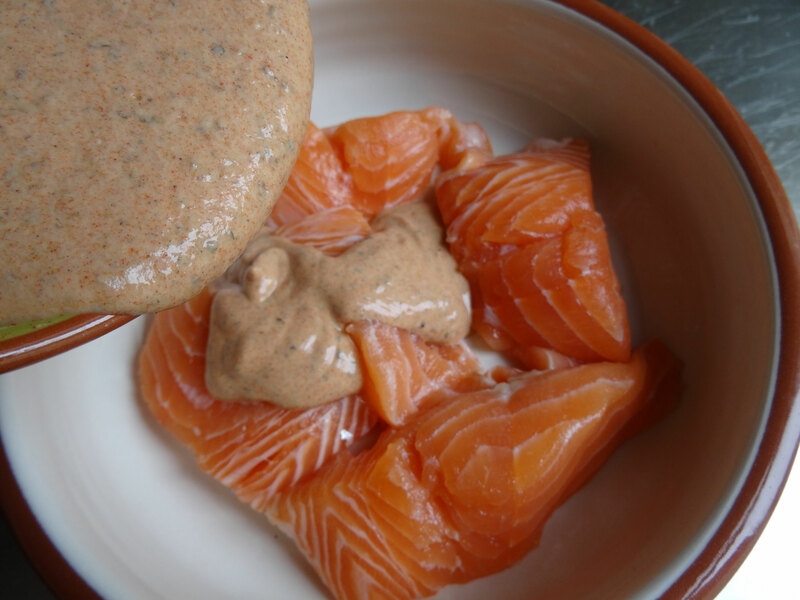 Really simple to make but delicious, I used a value brand of salmon fillets & yoghurt which worked perfectly fine. Serve with rice &/or salad. 2 skinless salmon fillets, basics/value is fine even if they are a bit broken up. 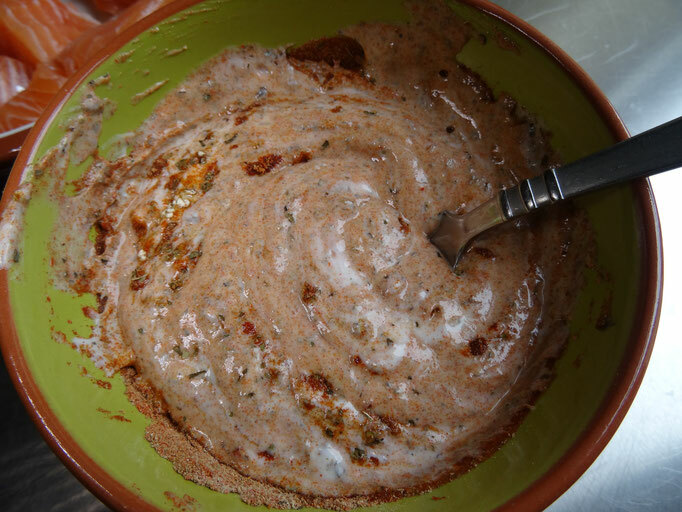 Place the yoghurt into a jug & add the spices, mint & garlic. Mix together well. 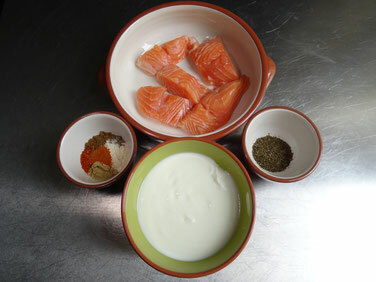 Put the salmon into a shallow dish & pour over the yoghurt mix making sure it is well covered. 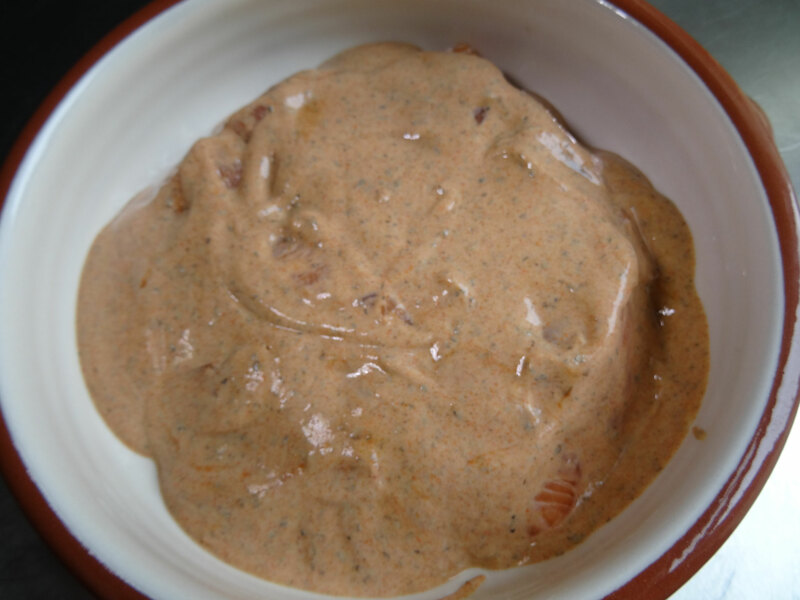 Cover the dish with cling film & place in the fridge for 2 hours (or longer if possible). Pre-heat the oven to 180Fan/200C/Gas6. Remove the salmon from the fridge. 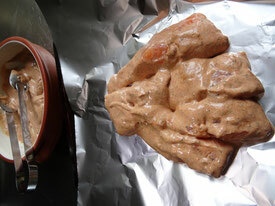 Put a sheet of foil on to a baking tray carefully remove the salmon from the marinade & place on the foil. Bring the edges of the foil up to loosely cover the salmon. Cook in the oven for 15 minutes. 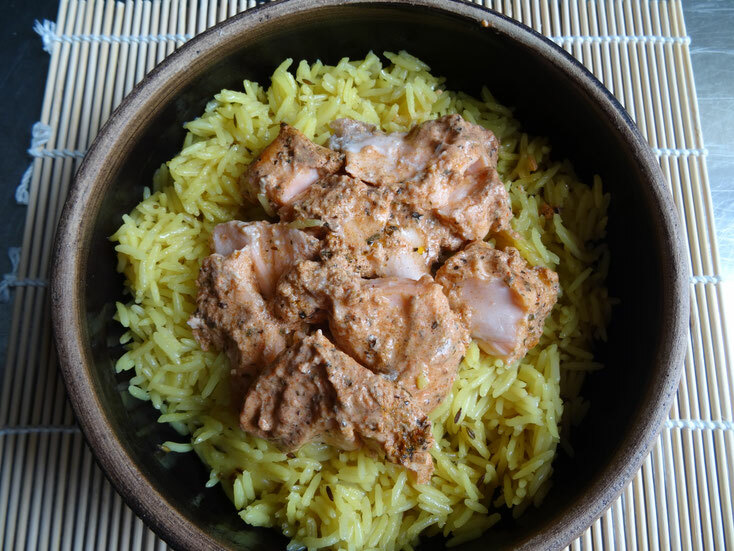 Serve with pilau rice &/or salad.